The island's beauty, sometimes austere, sometimes glorious, is sublime. But it's the history that casts a spell. 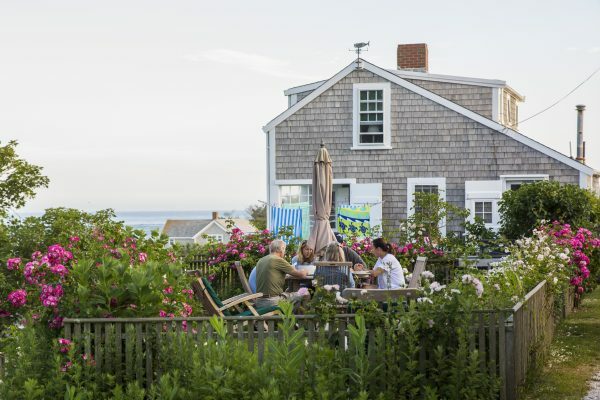 NANTUCKET, Mass.—In summer, the senses feed hungrily on Nantucket, and Nantucket gives generously, with the scent of honeysuckle in the air; white-trimmed, gray-shingled houses as demure backdrops against joyous puffs of blue hydrangeas; and the lapping of the waves, a soothing song at sunset. 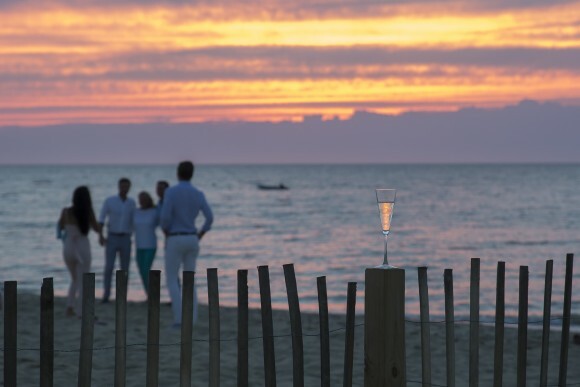 Many come to Nantucket to live in the present, to shed the cares of work and home. Its summer population swells from the normal 12,000 to 50,000. 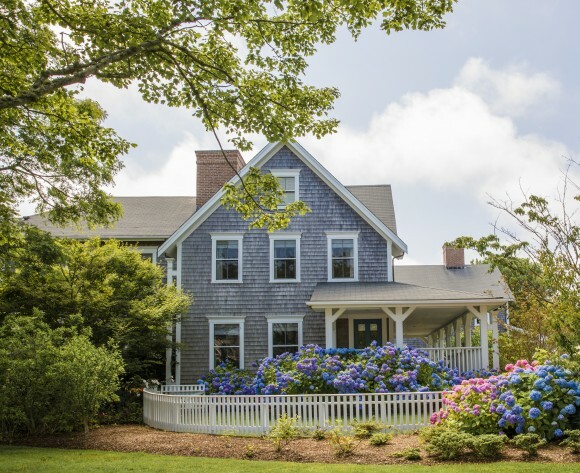 Don your prettiest Lilly Pulitzer dress or a pair of those famous Nantucket Reds shorts, and pick your picture-perfect spot from among 80 miles of gorgeous beaches. The entire island is a National Historic Landmark. This “faraway land” (the name given by the local Wampanoag tribe) was dubbed by Ralph Waldo Emerson as “the Nation of Nantucket” in 1847. 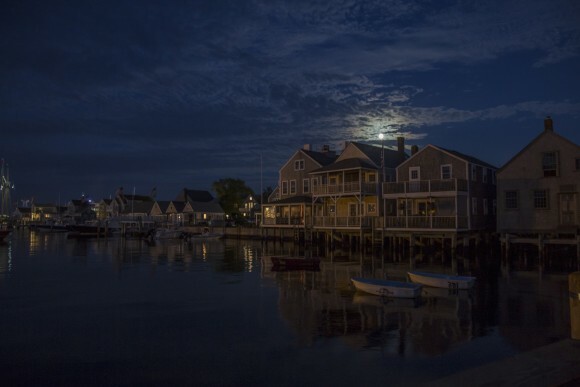 But far from being insular, as islands can be, Nantucket long had its sights cast wide on the world. From the 18th to the mid-19th century, it was the whaling capital of the world. The island provided the fuel to light the world’s streets, households, and businesses, amassing enormous wealth in the process. Its sailors (“Quakers with a vengeance,” Herman Melville called them) chased whales to as far as the South Pacific on voyages that lasted anywhere from three to five years. The whaling industry light would not dim until a cheaper replacement was found, in the fields of Pennsylvania—petroleum. When it’s cloudy and the island is cloaked in fog, Nantucket is cloaked in hues of gray, rippling from sky to sea to streets. One might imagine that the island’s three lighthouses, a beacon to home-faring sailors, could be the only light to cut through the thick fog. She recounts a story about one time when the pilot was walking his dog, early on a foggy morning, and spotted a large man a few feet ahead. “There’s just weird stuff, especially during the winter, [when] it’s quiet and no one’s around, and it’s cloudy,” she says. 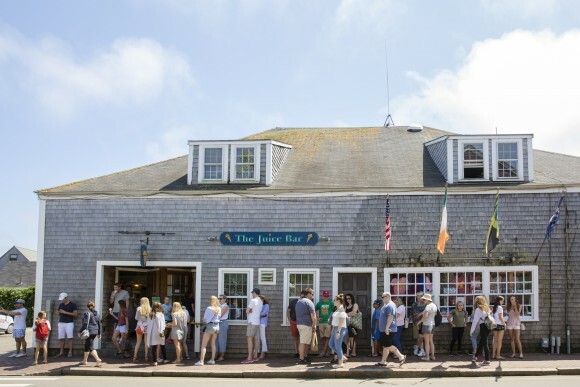 There’s the Nantucket for those who live here year-round, and the Nantucket for those who visit: “It’s completely, totally different worlds,” Barnes says. “If you want to see the real Nantucket,” she offers, “I suggest going to the Madaket Mall.” The mall sounds like a strange suggestion given the town has clamped down on retail chains (Ralph Lauren squeezed into downtown just before the axe came down, and not without some grumbling too). There’s no denying the wealth piled on this little island, no matter how unostentatious it is on the surface (you won’t see luxury cars plying its streets, though it’s likely a number of private jets are parked at the airport). A recent look at Sotheby’s listings shows a 10-bedroom property on 4.5 acres on sale for a cool $42.5 million. 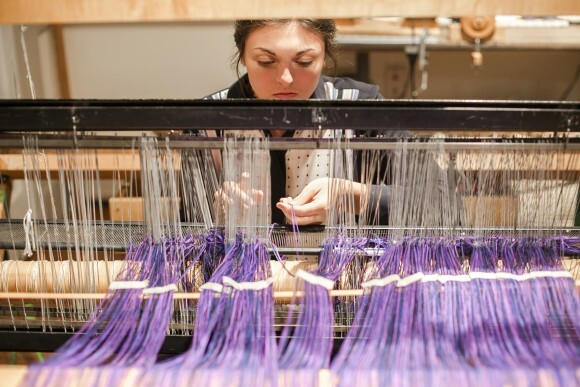 Bess Clarke, who runs Nantucket Looms, mentions a couple of “dueling impressions” of Nantucket. From her keen marketing experience, though, she will tell you how much of that reality comes from its image: “It’s almost like how Ralph Lauren accomplished his success: He created this world that really wasn’t real. It’s how people thought it was supposed to be, so suddenly it became how it was supposed to be. What it was, was a focus on quality of life, but with a real simplicity, an aspect that’s perhaps encapsulated in her shop’s philosophy. 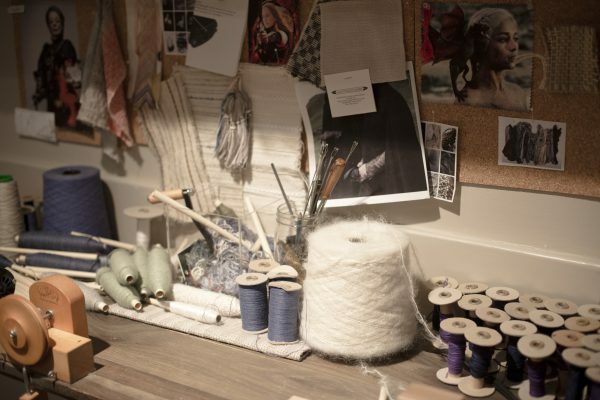 The aesthetics at the shop match the island: hues hover within the palette of grays, creams, blues, and greens. 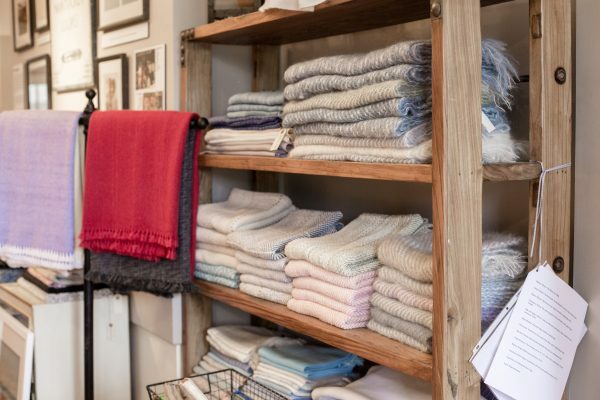 This is the place to buy a handwoven heirloom quality throw, or a boatneck sweater that will last for years. Locally made crafts carry their own stories, including ones steeped in nautical tradition, like the shell-collage valentines inspired by the ones sailors used to send to their sweethearts from the Pacific islands. At the edge of town, I chanced upon a surf shop that White Elephant Village Hotel manager Bettina Land had mentioned as having a sort of unexpected twist. I made my way to the back, past flip flops and surf boards, to a tiny backroom. It was filled with candy, with a businesslike eighth-grader manning the cash box. Armed with watermelon sour candy, I headed out to ‘Sconset on the eastern end, along gentle hills, and passed the southern area of the Middle Moors, known as Nantucket’s “Serengeti.” Apparently, wooden cutouts of lions, gazelles, or even raptors pop up sometimes. Off in the distance was a cranberry bog and Sankaty Head Light station. 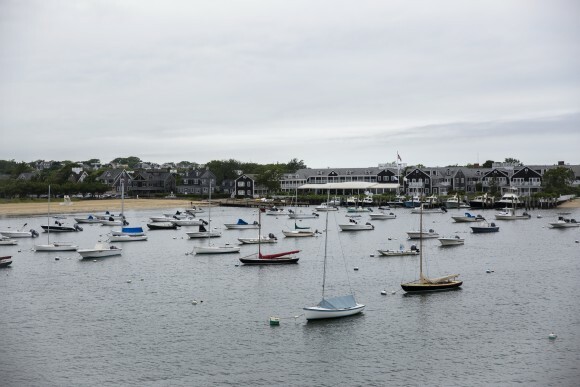 Too pretty for words is the village of ‘Sconset (shorten from its full name Siasconset, the Algonquian word for “place of great bones”), with blush-colored roses climbing on the walls of every cottage in sight. If you find a white gravel road in between some houses, you’ve arrived at the ‘Sconset Bluff Walk. “It’s really a walk through people’s front yards,” says a kind elderly gentleman, who had come to the general store to get ice cream with his wife and had given me directions. And so it is. Rounding the corner of a cottage, I came upon a spectacular view of the Atlantic Ocean; on the other side, people enjoyed the view from their yards. The path is so small and so close to the cottages, it’s almost impossible not to feel like you’re walking through their homes; some small talk as you pass by feels obligatory. One man, a refugee from New York City, sat in his yard, looking out toward the ocean. Part of his roof was covered with pink rose blooms. There had been many more—he pointed to one side of his cottage and then the other—but their time had passed. It was a hot day, but he had never bothered with installing an air conditioner; he wanted to keep everything authentic, and there was the breeze from the sea. Inside another yard, a small group of men chatted with each other, enjoying their evening get-together. You know: quality of life, with a good dose of simplicity. 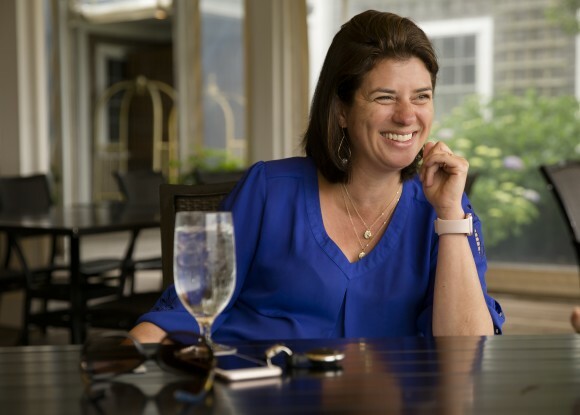 Bettina Landt, general manager of the White Elephant Hotel, hails from Zurich, Switzerland, but has made her home in Nantucket for the past 15 years. The mix of authenticity, history, and a bit of eccentricity endeared the island to her heart. “Everything is a little quirky and a lot real; you don’t find that a lot in the U.S.,” she says. Here are some of her recommendations for what to do on the island. 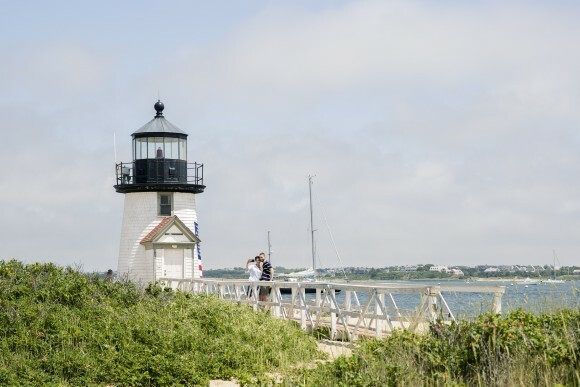 First-time visitors should be sure to check out the lighthouses: “Brant Point, Sankaty in ‘Sconset, Great Point for the adventurous.” A walk through downtown is a must, as is a visit to the whaling museum. Done that already? Rent a bike, and head to Cisco Brewery. 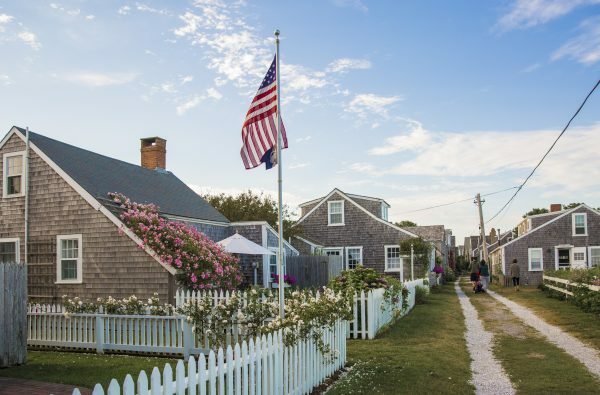 Madaket, on the western edge of the island, is known for its sunsets. Another spot to catch the sunset is at Galley Beach, a little closer to town. On the northeastern coast, go to Toppers at The Wauwinet. “There’s a little piece of land on the horizon, which makes for an even prettier sunset,” Landt says. There’s always a long line for ice cream at The Juice Bar; “the kids love it,” Landt says. 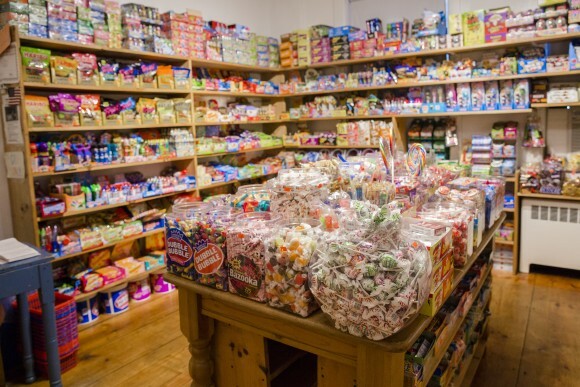 For a fun experience, head to Force 5 Watersports for a tucked-away surprise: a candy store. “At the very end, there’s a little room with no windows, and there’s a little kid with a cash box and there’s candy everywhere,” Landt says. Lying 30 miles out at sea, Nantucket is served by the Nantucket Memorial Airport (code ACK, which you’ll see on memorabilia). Ferries run from Hyannis on Cape Cod. The Seastreak ferry also makes the run from Manhattan. 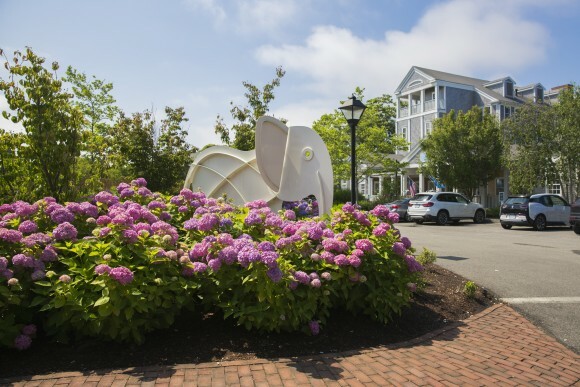 It seems Nantucketers can spin a story out of anything. 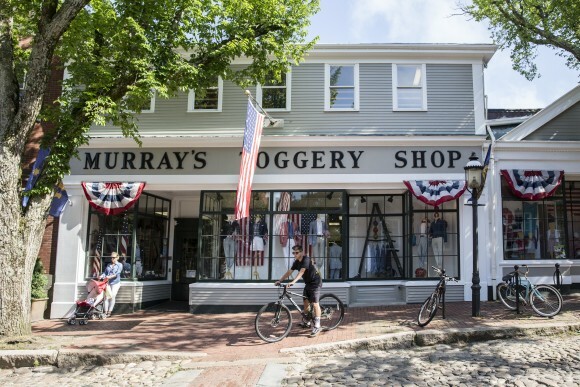 At Murray’s Toggery Shop, the clothing shop where the famous Nantucket Reds pants originated, owner Trish Murray Bridier overheard one of his employees regaling visitors with a story about their origin. 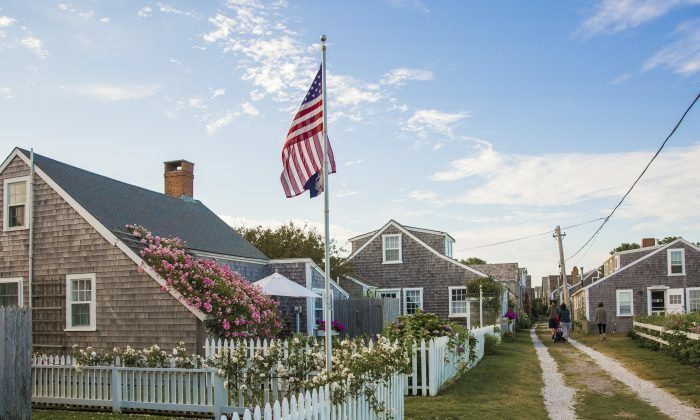 “It’s the iconic color of Nantucket now,” Bridier said. You’ll find not only pants in Nantucket Red (worn by grooms at island weddings, golf clubs, cocktails parties, and even funerals—there doesn’t seem to be a place where these pants don’t go), but also sports coats, pocket squares, skirts, hats, moccasins, and bow ties.